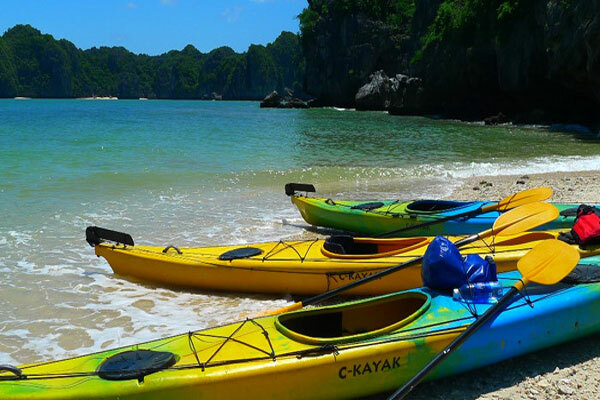 When visiting Halong Bay, one of the most popular forms which the tourists especially the international have joined is kayaking. Kayaks will take you where other big boats cannot. Kayaking is not only a sport, but also the best way to discover this beautiful bay. 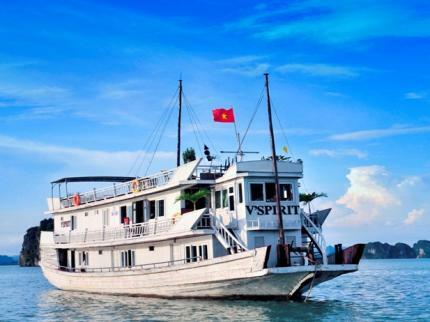 It is not by chance that in 2000, National Geographic Adventures Magazine voted Ha Long Bay is one of twenty five top world’s kayaking places. The contingent arrange of a lot of limestone creates a natural barrier for the waters of the South China Sea. In addition, the karst wonderland is the ideal places for visitors. Seeing sky, water and clouds in Ha Long Bay, wriggling around caves, touching stalactites, taking sparkling shells, etc. are enjoyable feelings in your holiday. The scenery of mountain, water, nature and the fresh wind from the ocean dispel hot in the summer. Besides, large caves which you can explore on foot or kayak make you surprise because of the breathtaking beauty in Ha Long Bay. 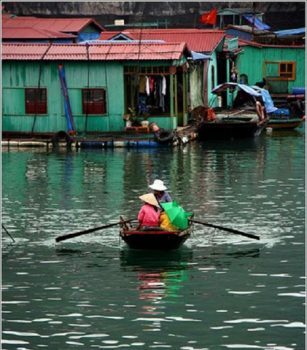 If you want to find out the life of fishermen, you shall go kayaking and visiting their villages. There are various kinds of kayaks made of composite resin, rubber or inflatable boats with puddle. 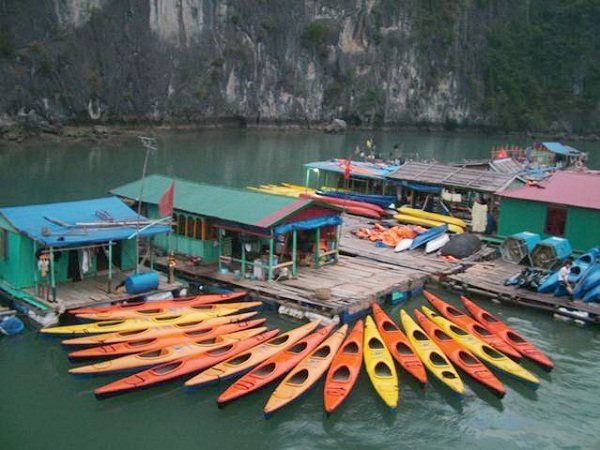 The islets such as Luon, Ba Trai Dao, Ba Ham, Dau Be, etc are interesting places for kayaking. However, you must follow carefully the instructions of tour guide when you go kayaking. It is dangerous to do by yourself without warning or instruction. The tour guide will help you use paddle and the safe area in your cruise. You can prepare the suitable things such as: sunglasses, swimming suit, hat, etc. A life-jacket is very necessary to protect you and tour guide will give. Before kayaking, remember to warm up carefully. You should not go kayaking too long because it is easy to get sunburn. 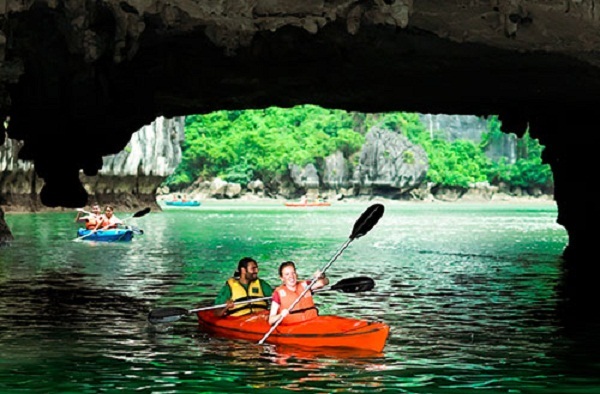 If you have a chance to visit Ha Long Bay in Vietnam, you shall enjoy the natural beauty by kayaking.